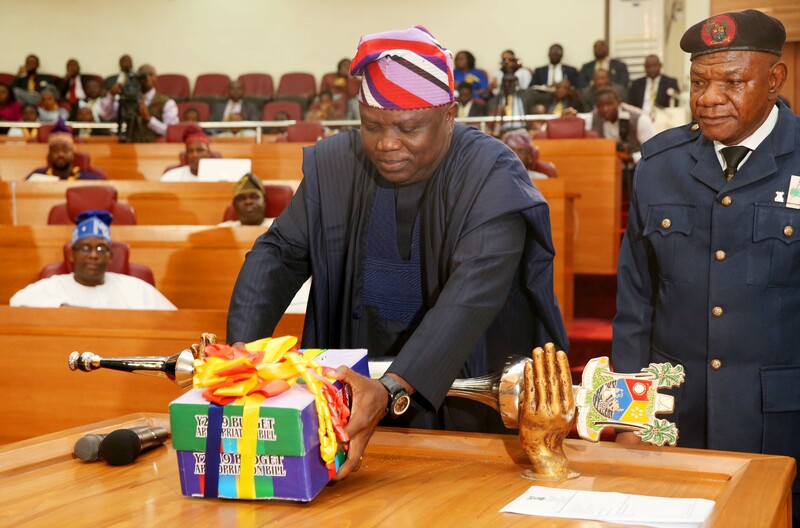 Governor Akinwunmi Ambode of Lagos on Tuesday presented the year 2019 budget proposal of N852.316 billion to the House of Assembly. The budget, Ambode said, was a carefully prepared document to be all-encompassing and dedicated to complete major ongoing projects in the state. According to the Governor, N462.757billion, representing 54 per cent of the total budget size, had been earmarked for capital expenditure, while N389.560billion or 46 per cent would be dedicated to recurrent expenditure. Ongoing projects such as the Oshodi-Murtala Mohammed International Airport Road and the Oshodi Interchange Terminal would be prioritized and completed, he said. He said from inception of his administration, nine key areas were given priority after careful assessment of the needs of the citizens, leading to what he called a massive investment in the sectors such is security, transport, economy, housing, education, health, infrastructure, skill acquisition/microfinance, e-Governance and enhanced capacity building, sustainable environment and smart city projects. Governor Ambode said the performance of last year’s budget of N1.046trn as at November 2018 stood at 60 per cent owing to reduction in revenue projections, while the total revenue stood at N530.192billion. Governor Ambode said with priority given to completion of major infrastructure projects and smooth transition to the next administration, the government proposed for 2019 a total budget size of ‘N852,316,936,483,’ including a deficit financing of N77.086billion which is expected to be sourced from internal loans and other sources. He said the projected total revenue for 2019 is₦775.231billion, of which₦606.291billion is expected to be generated internally,₦168.940billion is expected from Federal Transfers while a total of ₦77.086billion will be sourced through deficit financing within the medium term expenditure framework.